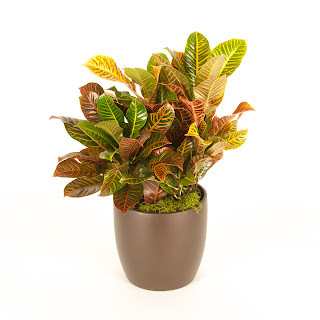 Hawaiian grown plants are great for indoor office plants here in the San Francisco Bay Area. Here are some more photos of indoor plants growing in Hawaii taken while we toured the nurseries in Hawaii. These plants take anywhere from 1 year to 5 years or longer to grow depending on the size. We had a chance to visit our grower for one of our best indoor plants -- the Dracaena Lisa. They grow the cane plants with in ground root stock, then cut off the canes and plant them in grow pots filled with lava rock cinder soil. The canes take root and the plants grow in the shade house until ready for sale. The Dracaenas thrive in the cinder media, and it makes for a strong healthy plant that does really well in indoor office environments. The secret sauce -- finely crushed volcanic cinder mixed with peat and nutrients. 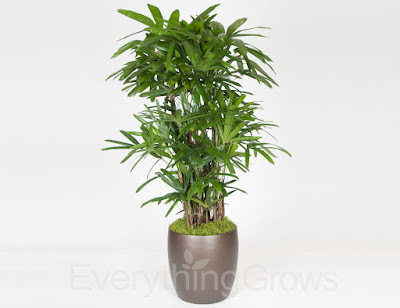 Contact Everything Grows today if you are ready for the benefits beautiful, high quality Dracaenas grown in Lava cinder and other lush living plants in your workspace. We service the entire San Francisco Bay Area, with our expertly trained plant care technicians taking Amazing care of the plants in your facility. Tillandsia air plants pull moisture out of the air to survive. They are great in terrariums and bowls like the one pictured below which we recently installed for a customer located in Pleasanton, CA. In humid areas, tillandsias do fine on their own, but in the San Francisco Bay Area and indoor office environments, they will need an occasional spritz of water to survive. This arrangement is a variety of tillandsias placed on a bed of pebbles. The vase is hand blown glass molded over a piece of burled wood. The vase rests freely on the wood and you can see burn marks on the wood where the glass blower pressed the glass against it to mold the glass around the wood. Everything Grows has all kinds of custom containers so if you would like something unique for your office space contact us and we would happy to provide a no cost design consultation. 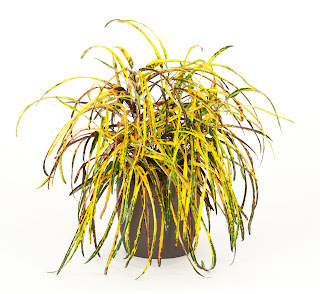 Rhapis palms are a beautiful addition to your interior foliage. They need good indirect light and plenty of water and do well in our San Francisco Bay Area indoor environments. In the tropics they are prolific as you can see by this picture of a group of rhapis in an open air atrium in Kailua-Kona Hawaii. Everything Grows places rhapis palms as large as 10-12 feet tall. We select the highest quality Hawaiian grown rhapis so they are long lasting and look great in your office space. Contact us if you are interested in placing rhapis or any indoor plants in your workspace. We provide excellent care for the plants and guarantee that they will always look good while under our care or we replace them for no charge! We had a chance to go to Hawaii to visit some of our growers and see many tropical plants in their native environment. Below are pictures of Crotons both in the potted form that we place indoors, and in the wild in Hawaii glowing outdoors. It is amazing to see how big and beautiful they are in warm humid weather. 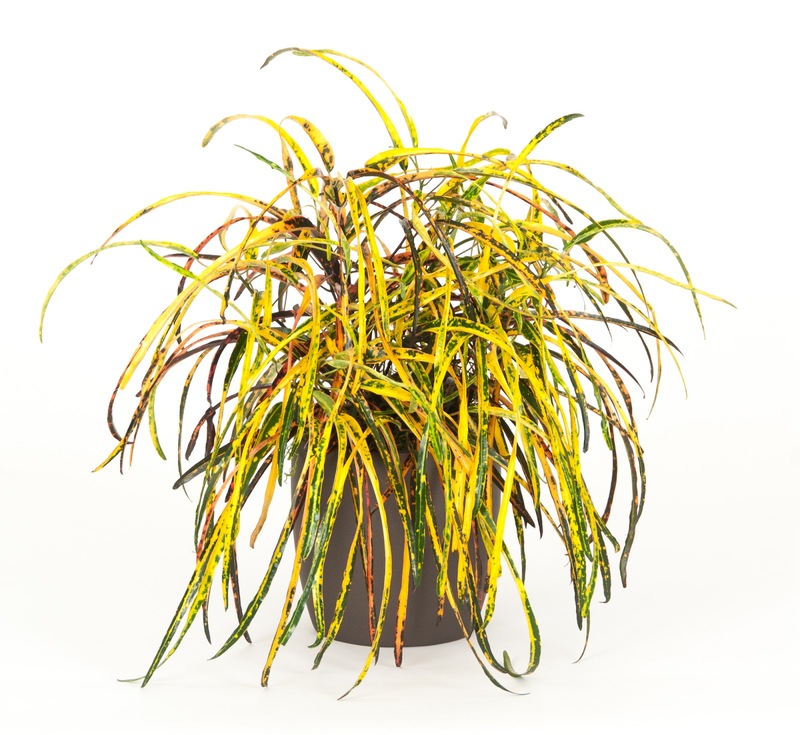 These plants do great indoors in bright light which keeps the foliage colorful with orange, red and yellow hues. 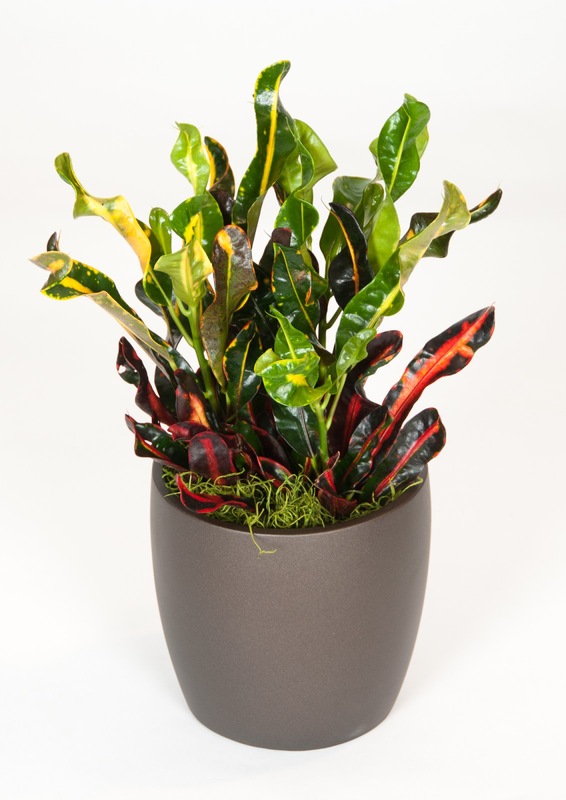 Contact Everything Grows today if you are considering crotons or other beautiful interior plants for your workspace. Have one of our designers provide a complementary plant design followed with our amazing plant care from our expertly trained plant care technicians. We service the entire San Francisco Bay Area.